Send for yourself men, that they may search the Eretz Kenaan, which I give to benai Yisrael: of every tribe of their avot shall you send a man, every one a ruler among them. 13:3 And Moshe by the commandment of ADONAI (יהוה) sent them from the wilderness of Paran: all those men [were] heads of benai Yisrael. 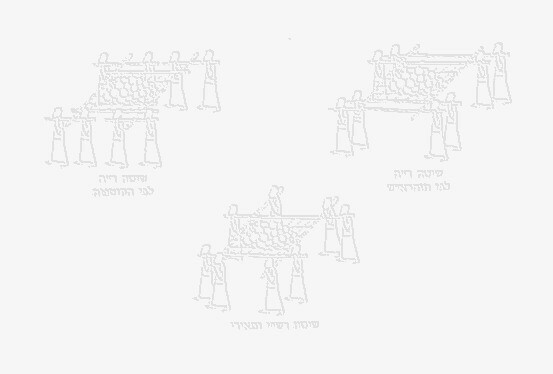 from the tribe of Reuven (ראוּבן), Shamua Ben Zakur. 13:5 From the tribe of Shimon: Shafat Ben Hori. 13:6 From the tribe of Yehudah: Kalev (כּלב) Ben Yefuneh. 13:7 From the tribe of Yissakhar: Yigal Ben Yosef. 13:8 From the tribe of Efrayim: Hoshea (הושׁע) Ben Nun. 13:9 From the tribe of BenYamin: Palti Ben Rafu. 13:10 From the tribe of Zevulun: Gadi'el Ben Sodi. 13:11 From the tribe of Yosef, [namely], of the tribe of Menasheh, Gadi Ben Susi. 13:12 From the tribe of Dan: Ammi'el Ben Gemalli. 13:13 From the tribe of Asher: Setur Ben Mikha'el. 13:14 From the tribe of Naftali: Nachvi Ben Vofsi. 13:15 From the tribe of Gad: Ge'u'el Ben Makhi. 13:16 These [are] the names of the men which Moshe sent to spyout the land. And Moshe called Hoshea (הושׁע salvation) Ben Nun Yehoshua. 13:20 And what the land [is], whether it [be] fat or lean, whether there be wood therein, or not. And be you of good courage, and bring of the fruit of the land. Now the time [was] the time of the firstripe grapes. So they went up, and searched the land from the wilderness of Zin to Rehov, as men come to Hamat. 13:23 And they came to the brook of Eshkol, and cut down from thence a branch with one cluster of grapes, and they bare it between two upon a staff; and [they brought] of the pomegranates, and of the figs. 13:24 The place was called the brook Eshkol, because of the cluster of grapes which benai Yisrael cut down from thence. 13:26 And they went and came to Moshe, and to Aharon, and to all the congregation of benai Yisrael, to the wilderness of Paran, to Kadesh; and brought back word to them, and to all the congregation, and shewed them the fruit of the land. 13:27 Then they told him, and said: "We went to the land where you sent us. It truly flows with milk and honey, and this is its fruit. 13:28 But the inhabitants are strong, and the cities are fortified and very large. Moreover we saw the descendants of Anak there. 13:29 The Amalekites dwell in the eretz negev (south): and the Hittites, and the Yevusites, and the Emorites, dwell in the mountains: and the Kena'ani dwell by the sea, and by the coast of Yardan. 13:30 And Kalev (כּלב) stilled the people before Moshe, and said, Let us go up at once, and possess it; for we are well able to overcome it. 13:31 But the men that went up with him said, We be not able to go up against the people; for they [are] stronger than we. 13:32 And they brought up an evil report of the land which they had searched to benai Yisrael, saying, The land, through which we have gone to search it, [is] a land that eats up the inhabitants thereof; and all the people that we saw in it [are] men of a great stature. 13:33 And there we saw the giants, sons of Anak, [which come] of the giants: and we were in our own sight as grasshoppers, and so we were in their sight. 13:2 Send for yourself men, that they may search the Eretz Kenaan, which I give to benai Yisrael: of every tribe of their avot shall you send a man, every one a ruler among them. Bamidbar 32:12 except Kalev Ben Yefuneh haKenizi and Yehoshua Ben Nun, because they have followed ADONAI unreservedly. Yehoshua 14:6 The descendants of Yehudah approached Yehoshua in Gilgal, and Kalev Ben Yefuneh the Kenizi said to him, "You know what ADONAI told Moshe the man of Elohim about me and you in Kadesh-Barnea. Yehoshua 14:13 Yehoshua blessed him and gave Hevron to Kalev Ben Yefuneh as his inheritance. Banim Kalev Ben Yefuneh: `Iru, Elah and Na`am. Benai Elah: Kenaz. a Kenizzite or descendant of Kenaz: - Kenezite, Kenizzites. A. Grandson of Esav (Beresheet 36:11, Beresheet 36:15, Beresheet 36:42; 1Chron 1:36, 1 Chron 1:53). B. The father of Otni'el (Yehoshua 15:17; Softim 1:13; Softim 3:9, Softim 3:11; 1 Chron 4:13). C. Grandson of Kalev (1 Chron 4:15). Beresheet 36:11 The sons of Elifaz were Teman, Omar, Tzefo, Ga`tam and K'naz. 1 Chron 1:36 The sons of Elifaz: Teman, Omar, Tzefi, Ga`tam, K'naz, Timna and `Amalek. Yehoshua 15:17 `Otni'el Ben Kenaz, Kalev's brother, captured it; so he gave him `Akhsah his daughter as his wife. Softim 1:13 `Otni'el Ben Kenaz, Kalev's younger brother, captured it; so he gave him `Akhsah his daughter as his wife. Softim 3:9 But when the people of Yisra'el cried out to ADONAI, ADONAI raised up a savior for the people of Isra'el; and he rescued them; this was `Otni'el, Ben Kalev's younger brother K'enaz. Judge 3:11 So the land had rest for forty years, until `Otni'el the son of K'naz died. 1 Chron 4:13 Benei K'naz: `Otni'el and S'rayah. The son of `Otni'el: Hatat. 1 Chron 4:15 Benei Kalev Ben Yefuneh: `Iru, Elah and Na`am. Benei Elah: K'naz. The genealogies of two descendants of Yehudah are developed more fully—Kalev: 1 Chron 2:18-20, 1 Chron 2:42-55 (this is not the Kalev of Num. 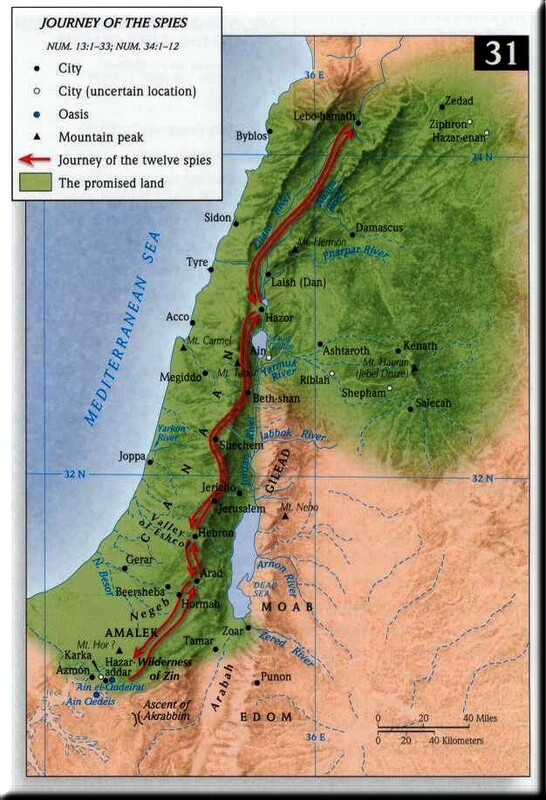 13; see 4:15), and David: 1 Chron 3:1-24. Zoan = "place of departure" an ancient city of lower Egypt called Tanis by the Greeks; located on the eastern bank of the Tanitic branch of the Nile; the capital of the Shepherd dynasty, built 7 years after Hebron and existing before Abraham and the dwelling place of the Pharaoh at the time of the exodus . Numbers 13:22 says that it was built seven years after Hevron was built. Tehillim 78:12,43 identifies the "field of Zoan" as where Moshe performed miracles before Pharaoh to persuade him to release Yisrael from his service. The fields of Zoan are thus considered to be another name for the Land of Goshen גושן ארץ. The city is also mentioned in Yeshayahu 19:11, 13, Yeshayahu 30:4 and Ezekiel 30:14. Tehillim 78:12 Marvellous things did he in the sight of their fathers, in the land of Egypt, in the field of Zoan. Yeshayahu 19:11 Surely the princes of Zoan are fools, the counsel of the wise counsellors of Pharaoh is become brutish : how say ye unto Pharaoh, I am the son of the wise, the son of ancient kings? 19:13 The princes of Zoan are become fools , the princes of Noph are deceived ; they have also seduced Egypt, even they that are the stay of the tribes thereof. Ezekiel 30:14 And I will make Pathros desolate , and will set fire in Zoan, and will execute judgments in No.